I just added some new designs and open a new gallery for Halloween and Thanksgiving pictures: greeting cards, posters and some abstracts. 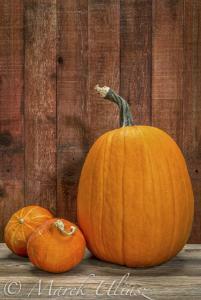 You will see a lot of pumpkins, winter squash and rustic wood. Signs are created with vintage letterpress wood type printing blocks, white chalk on blackboard, and digital tablet. All pumpkins are coming from my own garden. Next year, I may grow some winter squash if I figure out how to eat it. Any suggestions? Last year, my pumpkins after all photo sessions were converted into juice, soup and seeds.